When Mother Nature rears her ugly head, you should protect yourself and your family as soon as possible. Whether you have a tree falling through your ceiling, or you notice just one or two missing shingles, it’s time to call a professional. Sometimes storm damage repair can’t be seen from the ground, but if you have damaged siding, vehicles, or have noticed neighbors getting work done, you can be 99% sure that you may also have roof damage. Our experience in Louisville, KY area storm damage repair helps you navigate through the process of protecting your property, caring for your family, and working through the insurance world. If you have a leaking roof because of storm damage, the first critical step is to prevent interior damage as much as possible. 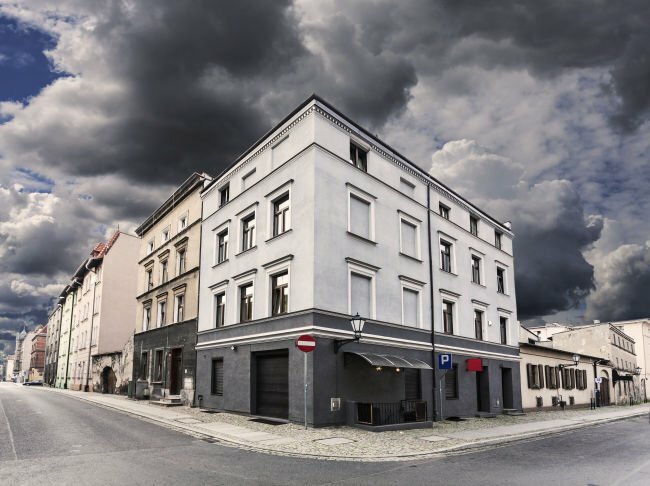 At Abrams Roofing, we provide emergency storm damage repair including cover and tarp services and quick response to get repairs taken care of as much as possible. If you have a major leak due to storm damage, give us a call immediately to ensure your home and family are taken care of right away. The Louisville, KY area is no stranger to hail damage. Strong storms can produce hail which can cause significant damage even without any visible signs from the ground. Even small hail can significantly decrease the lifespan of your roof and can produce damage that does not show up immediately and is easily overlooked. The most common damage caused by hail is the eating away at the granule layers on the top of the shingle, which causes the glass-based center to be exposed. This causes serious deterioration in a very short period of time. High winds can be a powerful force of nature. Wind damage is most commonly seen as lifting shingles and broken sealing strips during the storm. Many times, after the wind dies down, the shingles will lay back in place and appear to be perfectly fine but leaves the roof compromised to significant damage in the future. This same type of damage can happen to tile or slate roofs that compromise the water barrier underneath the tiles. For this reason, anytime you experience high winds in your area, it’s important to get a roof inspection to ensure the security of your roof. Water has the unique ability to find even the smallest crack and cause costly damage to your home. Leaks as a result of rainwater are often just a manifestation of previous damage that was left unchecked. Leaks do not simply subside on their own. The longer you wait, the more problematic they can become. Large puddles of water sitting on your roof will eventually cause problems. If you have puddles of water that remain after a storm, it’s time to get an evaluation from a roofing professional. Lightning generally strikes the tallest object in the area. 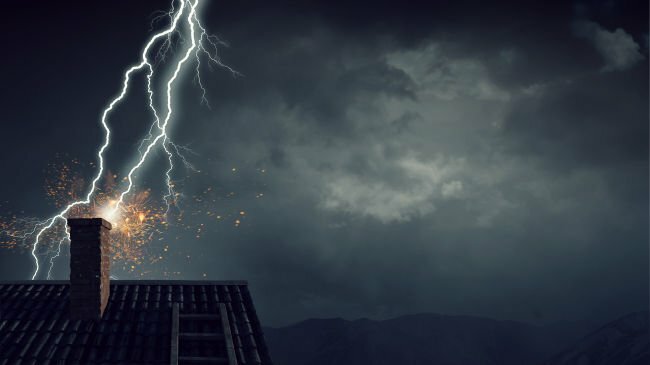 The likelihood of your roof being struck by lightning is extremely rare. It is significantly more likely that a nearby tree is struck and falls on your roof to cause significant damage. If you have storm coverage as part of your homeowner’s policy, common roof repairs may be eligible for insurance coverage. However, most policies have a time limit to file a claim as a result of a storm. It is important to contact your insurance company as soon as possible. We have experience working with all types of insurance to ensure you get the coverage you are entitled to. Even if you don’t see storm damage, call your insurance company and ask questions to completely understand what you are covered for. You can’t be singled out for a rate increase due to storm damage, so don’t hesitate to call your insurance company for fear of a rate increase. 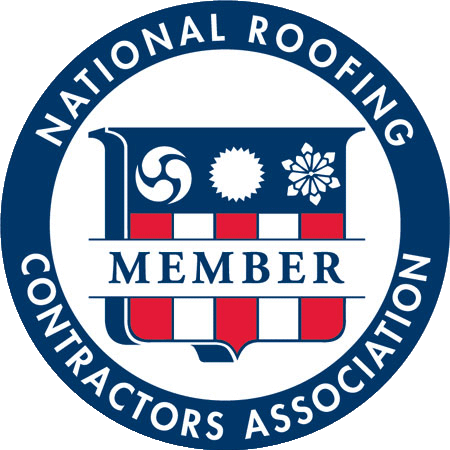 Always hire a reputable, licensed, and insured roofing contractor – don’t opt for the cheapest option in an effort to save insurance money. Having regular roof inspections is the best way to ensure you’re not denied a claim based on preventative maintenance measures. If you have either emergency roof damage or lingering issues caused by storms in your area, give us a call. We can help negotiate and communicate with your insurance company and provide the storm damage repairs or replacement necessary. We also provide gutter and siding repair in addition to roof repairs and replacement. 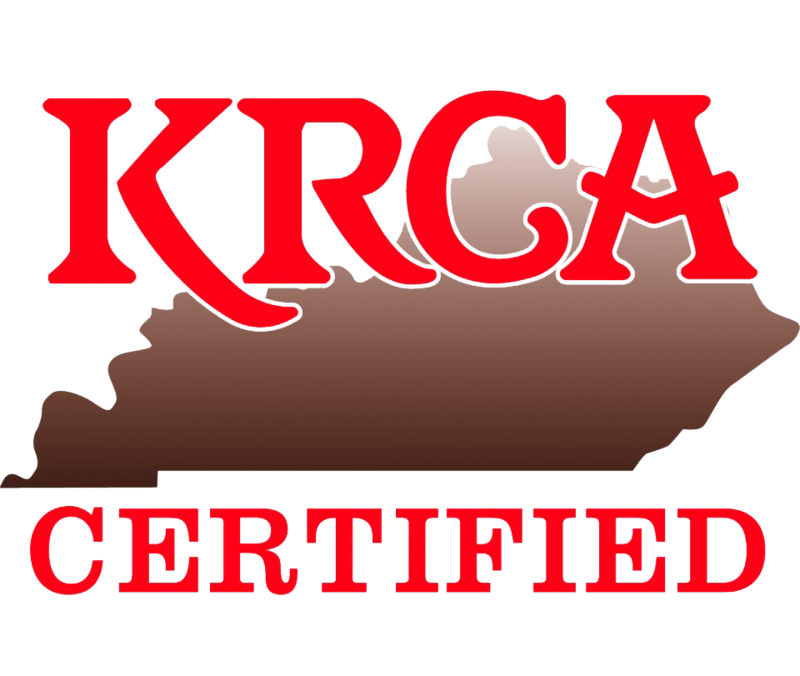 Abrams Roofing is a team of licensed, bonded and insured professionals who live and work in the same Louisville, KY area neighborhoods as you. 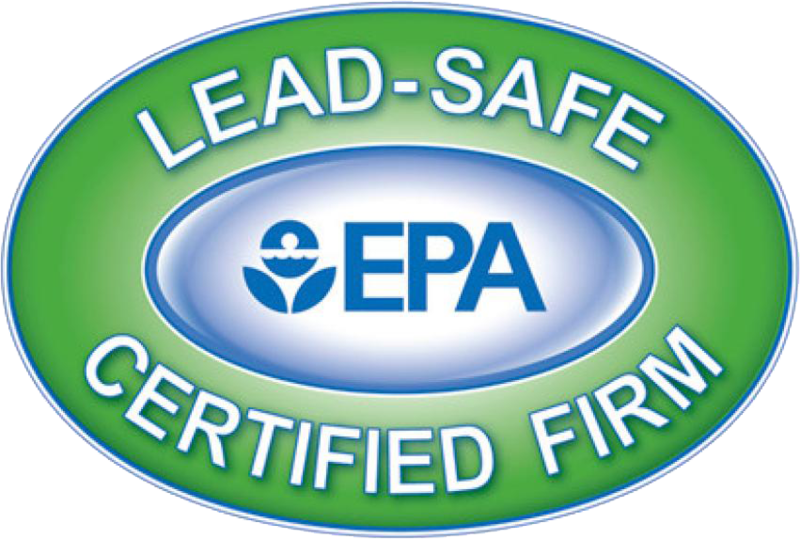 Give us a call today to protect your home and your family through whatever nature sends your way.